Bisera is a member of BDK competition practice. She advises clients on a full range of competition law topics, but her special stronghold is state aid. Industry-wise, she has a particular focus on competition and regulatory issues in life sciences. 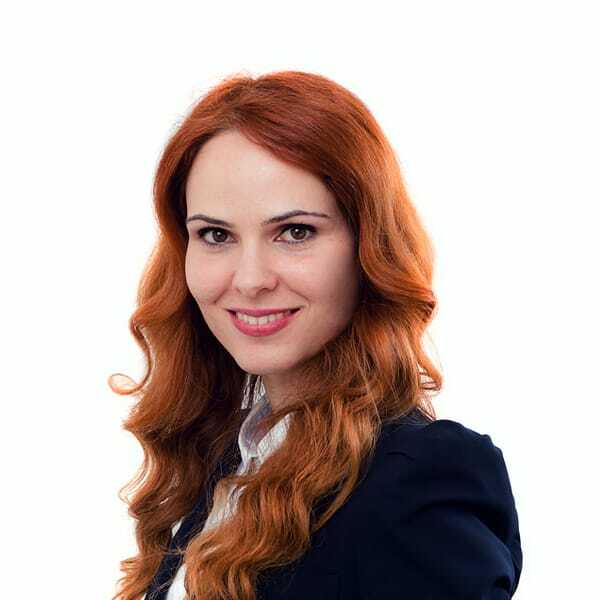 She joined BDK Advokati in September 2015 from the European Movement in Montenegro where she worked as Secretary General for three years and coordinated projects in support of the Montenegrin EU accession process. Bisera is a member of the Working Group for preparation of Montenegro’s accession to the EU for Chapter 8 – Competition and is advising in that role on the harmonization of Montenegrin competition legislation with the EU acquis. Bisera holds a Bachelor in Law degree from Mediteran University in Podgorica and a Bachelor in Public Administration and European Affairs from the Faculty of Administrative and European Studies. She completed her postgraduate specialist studies in Business and Commercial Law at the University of Montenegro. She was then awarded Erasmus Mundus scholarship and in 2011, she graduated from the European Master in Law and Economics program specializing in law & economics of competition and regulation. She obtained LL.M degrees from the University of Hamburg and the Erasmus University in Rotterdam and an M.A. from the University of Bologna. Bisera is fluent in English, conversant in French and reads Italian.